Last edited by PR Master; October 23rd, 2018 at 09:57 PM. 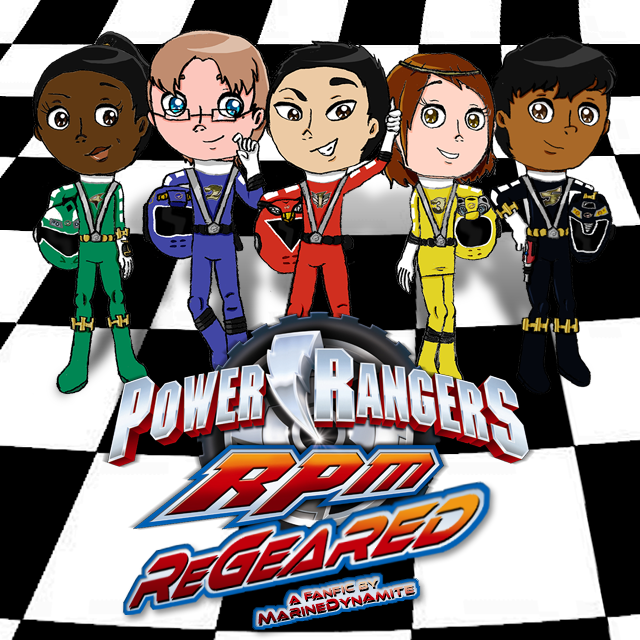 In light of finally having found a beta reader for my RPM ReGeared fanfic, I figured it was about time I posted the drawings of the Rangers as well as a few of the supporting human characters, just so you guys can get an idea of what they look like. Pardon me for the double post, but I just finished making these with a few of the older versions of Acatl's templates and color palettes (x x x) and I really wanted to show them to you guys. I introduced them to you on the other thread, and now, here they are: Kouki Sentai Märchenger! Last edited by MarineDynamite; May 23rd, 2018 at 04:42 PM. The torso and helmets are great, but I do think the boots and gloves ought to be in the respective colors with gold trim instead of white with colored trim. 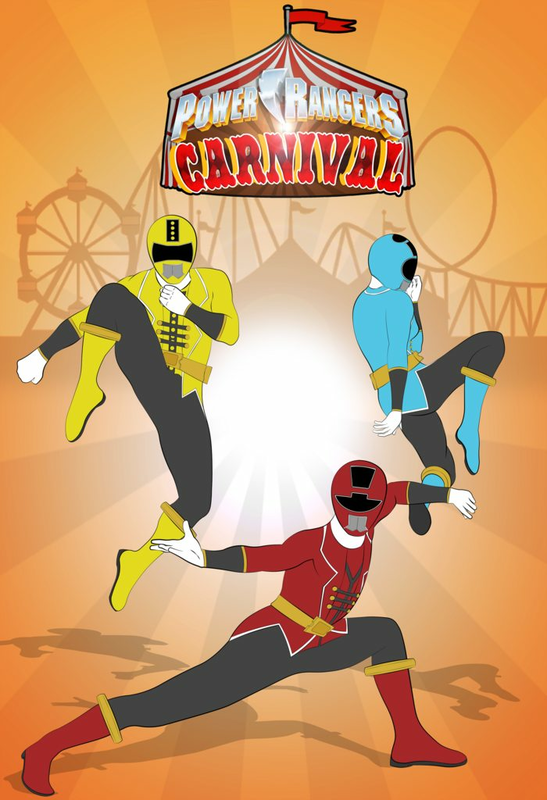 So here's a poster I created for my Power Rangers Fan comic called "Power Rangers Carnival"
In honor of the brand new, mega ultra awesome Ryu Ranger now available for Legacy Wars, I have started on my own project of images: Power Rangers Street Fighter! Obviously, I am making Ken, Chun-Li, Guile, Cammy White, Blanka, Zangief and Rainbow Mika eligible to be Rangers. If there are any more who you believe should be Rangers, too, just tell me and I'll judge them. Last edited by Neros Urameshi; July 20th, 2018 at 10:14 PM. Anybody who wants to reply to Neros Urameshi, please do so by PM. And Nero, this thread is to showcase your images not promote what you are going to do. If you have some to post, post them. Otherwise wait until you do. 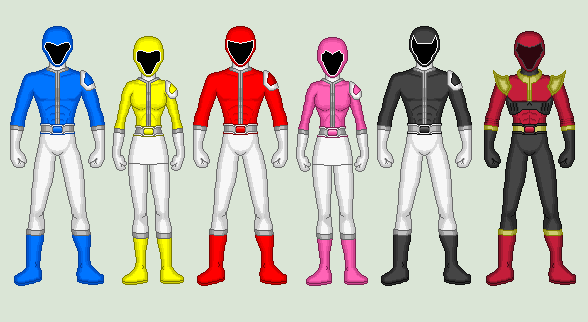 Here are my designs for the Power Rangers Street Fighter. Mind you, the SPD A-Squad Rangers had recycled helmet designs, so I did a bit of recycling on some helmet designs and then some tweaking. So, what can I post here? You mean are you taking suggestions for fan art? "Birds of Prey! Take Off!" Cliffton "Cliff" Reyes is Red Eagle, the leader of Gamma team, and a Sky Guard veteran. He's the no-nonsense leader of the Birds of Prey, an elite spy organization embedded within sister spy organization Sky Guard. The Birds of Prey have been working on the ranger project for years before Sky Guard took them on, and when it happened, they agreed the name of the team would be Sky Guard, and that Sky Guard would provide 2 rangers. 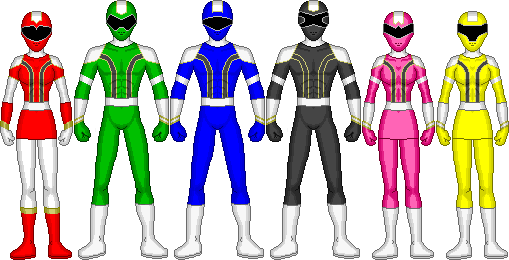 They were attached to elite team Gamma team, and now the 5 rangers need to put aside their differences and work together to finish this mission, the fate of the Earth depends on it. 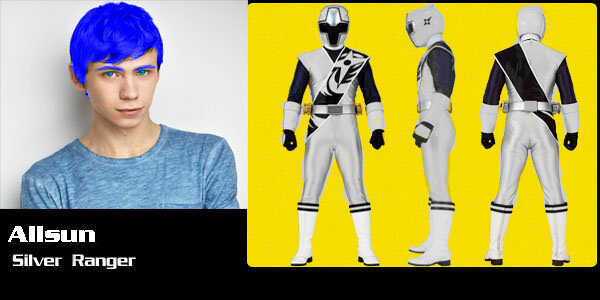 Damien Schuller is Blue Owl, second in command of Gamma team, a near-rival to Cliff, they often play chess to give Kyle (and later Heath and Kristen) strategy lessons. He pilots the Owl zord, as a skilled zord pilot, he's a vital asset to the team. He entered the academy on his first try at 15, graduating at 18 like usual. He's been in Birds of Prey 3 years (so he's 21) at the start of the series. Kyle Hasting is Yellow Condor, the youngest member of the team at 18. Being fresh out of the academy, he has a lot of work to do to catch up to Damien and Cliff, but he's working hard, and that alone is enough for Cliff to admire his dedication. 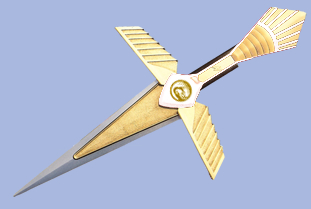 He's a balanced fighter, and pilots the Condor zord, but he's not the most skilled pilot. Heath Roten is Green Osprey, one of two Sky Guard soldiers assigned to the team. He's a happy-go-lucky kind of guy, and him and Kristen were accelerated through the Birds of Prey academy in anticipation of the threat of the Obsidian Order. Heath has little training on Birds of Prey, and often clashes with the core team. 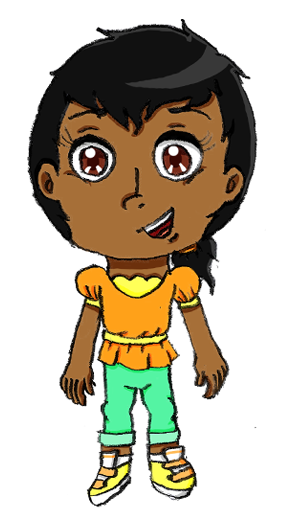 Kristen Myer is Pink Falcon, the second of the two Sky Guard soldiers. 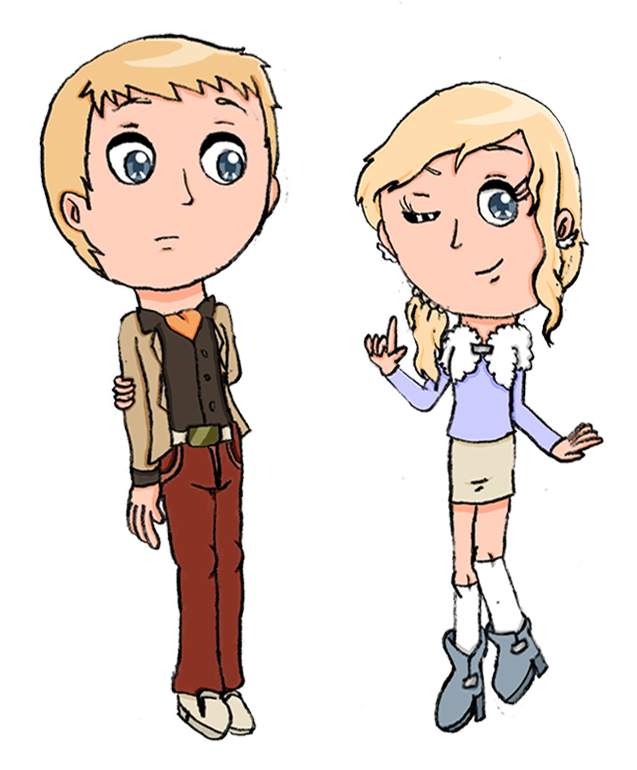 She's more serious that Heath, and his antics often cause her to roll her eyes at him. Template courtesy of Taiko554 on DA. All other work is mine. Do not modify. Do not use without my permission. So, I've been out of the game for a while and I'm planning to try to get back into it. I've begun revising an image that's been sitting on my hard drive for a while now. I'm just at a loss as to how I can improve the image. It's missing something but I just can't put my finger on how to make these better. Red is supposed to be different, since it's supposed to be a possible revision that I'd make to the rest of them. Obviously the series is technology-based. Any thoughts? Hi all these are my ranger redesign for Carrierzords and the Falconzord counterpart of Aquitar Rangers. This is Titanus Ranger, that i created using inspiration from many Internet design of it, mostly from gorleston_ranger but i redesign the helmet and the Shield. Phantom ranger BAF, and i use Greencosmos80 Color Scheme of the inner costume. And the last Ranger is Falcon Ranger, which i tinkered Bilico86 design by changing the helmet Visor and adding a Hybrid design of Aquitar fist, Doron Changer and Jetmen's wing Gauntlet as his morpher. He'll use modified Hikarimaru, called Sword of Light as the main weapon. Guys. 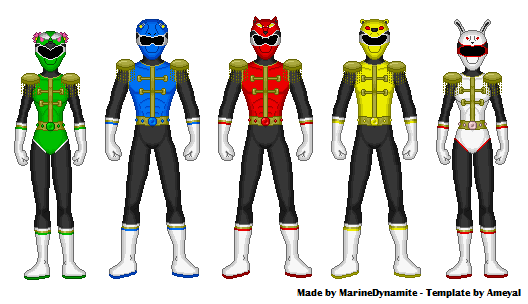 I'm working on this, that i call Kishi Sentai Yūkiger (Kinight Sentai Brave-Rangers). I got here. Now the problem comes: One part of me is satisfied with the result, but the other one misses something else. Please, Help me with opinions on what should be changed and / or added. Just an idea: Try changing the black accent color for another color. In my opinion, it bothers a bit, see members, other than the "sixth", using a main color thats are the same of accent color of the whole team.